We are currently accepting applications for two undergraduate programs for the 2017-2018 academic year: the Hoesley Digital Literacy Fellows and the Seltzer Family Digital Media Awards. The Hoesley Program is open to current sophomores and juniors who are interested in broadening their digital literacy and technology skills and fostering career connections at Penn and beyond. This year, we are accepting a cohort of around 5-10 students. Read more about our Hoesley students in related blog posts and apply online. The Seltzer Family Digital Media Awards provide five to six students with up to $1,000 each to purchase equipment (hardware or software) to support a new media project for one year. The equipment then gets returned to our equipment lending program for general use. Students in any year of study can apply, and special consideration is given to those in the Huntsman Program. Read more about the Seltzer Program in related blog posts and apply online. Applications are due by Friday, March 31, so please consider applying and spread the word! Hoesley and Seltzer Programs – Apply Now! 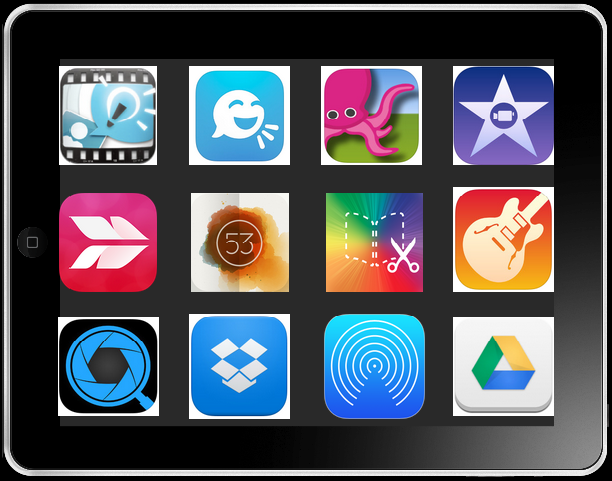 We are currently accepting applications for two undergraduate programs for the 2016-2017 academic year: the Hoesley Digital Literacy Fellows and the Seltzer Family Digital Media Awards. The Hoesley Program is open to current sophomores and juniors who are interested in broadening their digital literacy and technology skills and fostering career connections at Penn and beyond. We generally accept a cohort of 15 students. Read more about our Hoesley students in related blog posts and apply online. Applications are due by Friday, April 1, so please spread the word! My name is Samantha Kannegiser and I am a new intern at the Weigle Information Commons. When my colleague Jaime suggested I write a post about photo filters I was unsure how interesting a topic it would be. However, after reading a new study conducted by Yahoo! Labs I was intrigued. The study finds that the ways in which we use filters on the photos we share affects those photos’ popularity and tendency to produce interaction through comments. The focus was on users of Flickr’s mobile application, and it is worth mentioning that Yahoo! Labs is a division of Yahoo!, the company which owns Flickr. Wh en considering the importance of these findings, think about why social photo sharing sites like Flickr and Instagram are so popular (92 million and 300 million users respectively). Mobile capabilities make it easy for us to quickly snap and document moments in our days, creating a sometimes overwhelming digital collection of memories. The desire to document and preserve is age-old and only part of this process, though. Photo sharing sites have made it possible for us to use our photos to tell a story to friends, acquaintances, and even strangers while also allowing us to interact socially in a digital setting. These snapshots of our lives are no longer bound to film and photo albums, but are now part of a larger story. The gong will strictly enforce the two-minute time limit! Are you a graduating senior? Have you been working hard on a senior thesis or project lately? 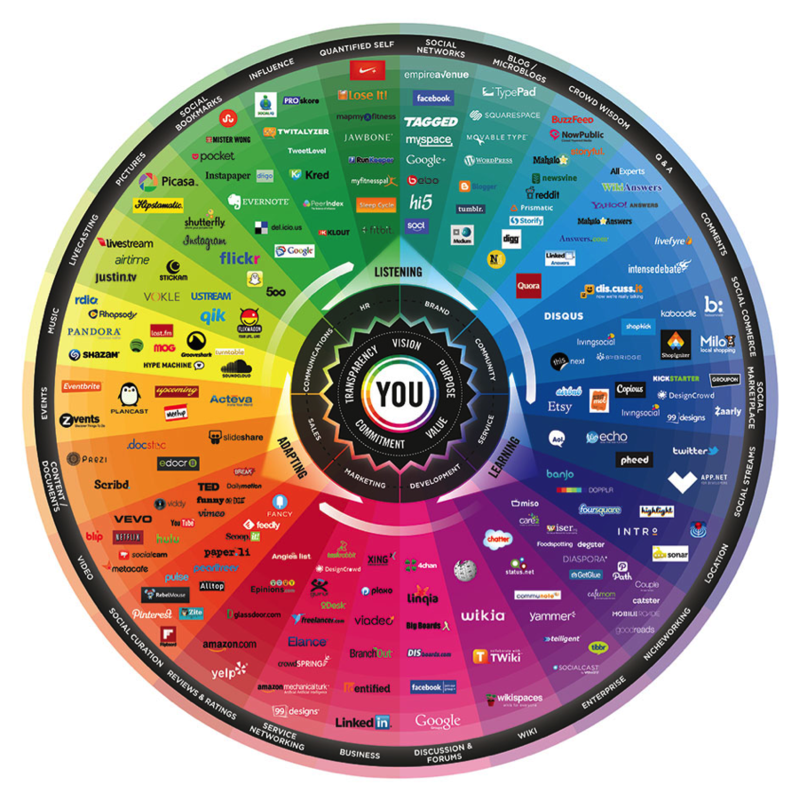 Does your project involve new media? Can you talk fast? If all of the above apply to you, we welcome you to submit a proposal for our Senior Research Spotlight. Together with co-sponsors CURF, CWiC, and Weingarten Learning Resources Center (VPUL), we invite twenty graduating seniors in any of the four undergraduate schools at Penn to share their work that involves new media (audio, video, image collections, software, 3D printing…) in a collegial atmosphere in front of peers, faculty, librarians, and administrators from around campus. Presentations will consist of two-minute lightning talks, with time strictly enforced by the gong pictured above! The event will take place on Thursday, April 29, 2015, at 3pm in the Class of 1978 Pavilion, Kislak Center, 6th Floor of Van Pelt Library. The room will be set up theater-style, and students will stand at the front podium to deliver their talks. For more details, please see the event website. If you are interested in participating, submit a registration form by Friday, April 24, 2015, by 5 pm. To consider your submission, all we need by April 24 is the registration form. If you’d like to attend the event, please register here. We hope you’ll join us on April 29th! If all of the above apply to you, we welcome you to submit a proposal for our Senior Research Spotlight. This new event invites twenty graduating seniors in any of the four schools at Penn to share their work that involves new media (audio, video, image collections, software, 3D printing…) in a collegial atmosphere in front of peers, faculty, librarians, and administrators from around campus. 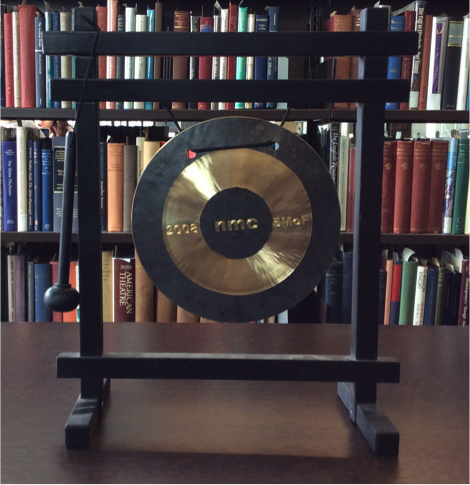 Presentations will consist of two-minute lightning talks, with time strictly enforced by the gong pictured above! The event will take place on Thursday, May 15, 2014, at 10 am in the Class of 1978 Pavilion, Kislak Center, 6th Floor of Van Pelt Library. The room will be set up theater-style, and students will stand at the front podium to deliver their talks. For more details, please see the event website. If you are interested in participating, submit a registration form by Wednesday, May 7, 2014, at 5 pm. To consider your submission, all we need by May 5 is the registration form. We hope you’ll share your research with us! 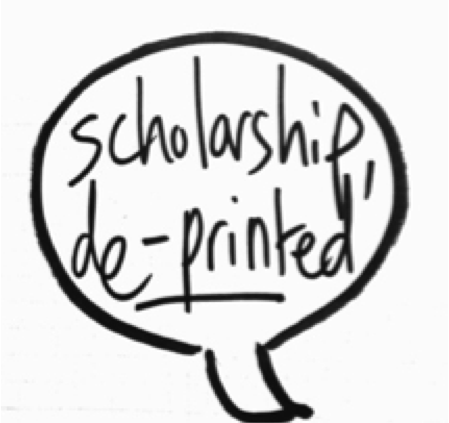 We are excited to announce Scholarship, De-Printed, a unique one-day event for humanities graduate students on Wednesday, May 14. The day aims to provide graduate students with training in video production for recording and sharing their own research, with the goal of producing a 3-minute video. Workshops throughout the day will be led by current graduate students in Communication and Hispanic Studies Departments. The day will conclude with refreshments and an informal showcase of the videos that participants have created. For more information, please see the event website, which includes a link to the registration form. Spaces are limited; priority will be given to graduate students in Germanic, Slavic, or Romance Languages and Literatures. Graduate students in other humanities departments are welcome to register, as well as those from SAS at large (with 10 spots now open for SAS students). Event organizers will keep these registrations on a wait-list and confirm registration on Wednesday, May 7, if seats are available. We are excited to share in what promises to be a valuable and enjoyable event for all involved!